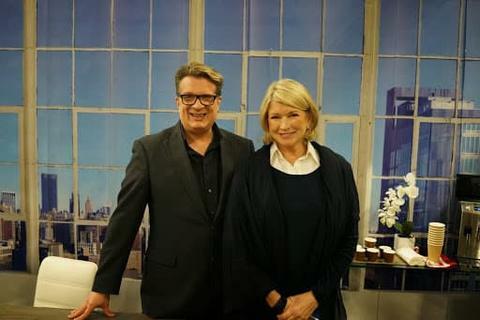 Martha Stewart with her custom wallpaper…you can have it too! “Decorating expert, Karl Lohnes, styled my greenroom for me. He did a great job of recreated our NYC offices in the Better Living Center. I was so impressed!” Martha Stewart said of her custom wallpaper mural by my supplier, MuralUnique. “He even included a wall of windows with the same view of what we see looking east” Martha Stewart said of her custom wallpaper. She was visiting the Delicious Food Show in Toronto. Check out her full blog post here. You Can Have A Custom Mural Too! This is the same supplier used for Martha’s mural. Martha was impressed by her New York wallpaper. But what custom wallpaper would you get? A photo of your family? I’d love to hear your ideas for a custom wallpaper mural in the comments below!